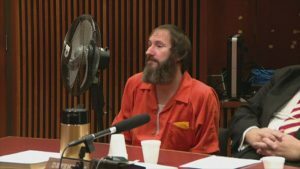 BURLINGTON COUNTY, N.J. (WCAU) – The homeless man at the center of a GoFundMe scam was sentenced Friday. Johnny Bobbitt was sentenced to a five-year term of what is called a “special drug court probation” after pleading guilty to conspiracy to commit theft by deception. He is not going to jail, but instead to an inpatient facility for addiction help. The Burlington County Prosecutor said Bobbitt was actively involved in developing a fraudulent campaign, saying he had given his last $20 to a woman when she ran out of gas. According to the prosecutor, Bobbitt conspired with a couple to scam the public out of $400,000 through a GoFundMe campaign by concocting the a feel-good story about him helping a motorist in distress. Bobbitt faces a five-year state prison sentence if he does not adhere to the standards of his sentence.